Cannabis, also known as marijuana, has been used for its medicinal properties for centuries. It contains various active compounds known as cannabinoids that have been shown to relieve pain, lower inflammation, decrease anxiety, and more . It's been studied for patients with nausea, vomiting, other cancer therapy side effects, and cancer symptoms. Most importantly for veterans, these cannabinoids can reduce the insomnia, anger, nightmares, and anxiety that often come with post-traumatic stress disorder . The possession of cannabis is currently illegal by federal law except for approved research purposes . Doctors who work for the Department of Veterans Affairs are prohibited, therefore, from recommending marijuana to their patients, and the government will not allow further research to prove marijuanas effectiveness in the treatment of PTSD . During his campaign, President Trump called for a laissez-faire approach to the marijuana issue, claiming that the states would oversee its legalization and regulation if he were elected president . Now the Trump administration seems to have changed its plan. White House spokesman Sean Spicer has said that he expects the government to boost the enforcement of drug laws in the near future, and attorney General Jeff Sessions later backed that statement, saying "Marijuana is against federal law, and that applies in states where they may have repealed their own anti-marijuana laws. So yes, we will enforce the law in an appropriate way nationwide" . But despite the concern about the potential misuse of marijuana, a national poll found that 54 percent of Americans support the legalization of marijuana across the country, and a whopping 89 percent said marijuana should at least be legal for medicinal purposes. 87 percent said Department of Veterans Affairs doctors should be allowed to prescribe marijuana for PTSD in veterans . Sign the petition to tell President Trump and Attorney General Jeff Sessions that the potential benefits presented by marijuana far outweigh the risks and that the ability to legalize marijuana should belong to the states so that more people can have access to this effective tool for the treatment of PTSD and other health issues. 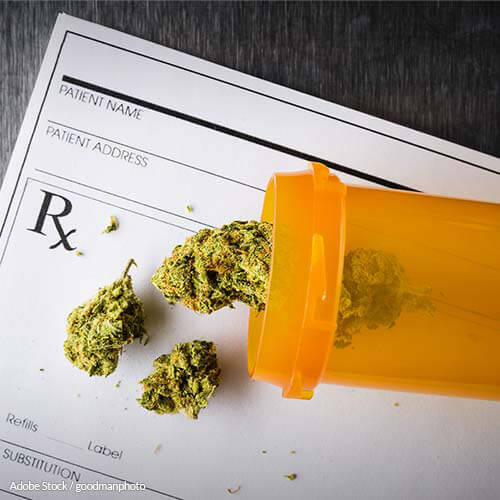 Despite the countless studies showing the safety and effectiveness of marijuana as a medicinal product, you have called for enforcement of the federal law against it. Despite the overwhelming number of people who agree cannabis should be allowed for medical purposes at the very least, you have decided to forego further research and outlaw this useful drug. Your opinion does not matter more than the American peoples. You do not have the right to tell those with PTSD and other health conditions that your concerns about the risks matter more than their health. We will not stand for an administration that claims to agree with the majority of the nation and then enforces a law only a small minority supports. We will fight for the right to choose to legalize marijuana at the state level. Marijuana has been proven as an effective tool for managing the symptoms of many diseases, and further research could prove it an effective treatment for PTSD as well. We demand that the ability to legalize it be given to the states so that more Americans can have safe and legal access to this life-changing drug. That's 7,021 signatures! Let's keep the ball rolling.